Arnold Schwarzenegger and his son Joseph Baena. You don't have to look for long to see the Terminator. The 20-year-old is only missing his old man's iconic monster muscles - but the latest glimpses into Baena's training regime suggest it may only be a matter of time until the son of the Kindergarten Cop becomes the Commando. Baena may just be entering his body-building prime - but the world is already watching on in anticipation. Baena said last week his sculpted frame is "just the beginning". Having transformed himself into a hulking beast in 2018, Baena could be competing in international body building competitions as early as 2019. With that same blood running in Baena's veins, it would take a brave man to rule Baena out of ever achieving similar body-building success. That doesn't mean it's been given to him. In truth, Baena's story is one of heartbreak and pain. His success is in direct contrast to his eternal symbol of his father's "greatest mistake" - a mistake which ruined the Republican Governor's marriage. It's what makes Baena's desire to follow in his father's footsteps all the more remarkable. Governor Arnold Schwarzenegger and first lady Maria Shriver. Twenty-five years of marriage came to a crashing end when Arnold Schwarzenegger's infidelity became a national scandal in the United States. Schwarzenegger says the cheating scandal which cost him a relationship with ex-wife Maria Shriver is his "biggest failure". The source of Schwarzenegger's lust was Mildred Baena - Schwarzenegger's nanny at the time for his four other children - Katherine, Christina, Patrick and Christopher. "I had personal setbacks, but this was without any doubt the biggest setback and the biggest failure. Without any doubt," Schwarzenegger told radio host Howard Stern in 2015. "And not only failure but you really feel like, 'I am to blame for it. It was me that screwed up'. And you can't point the finger at anyone else. So yeah, I was disappointed, but it's always easy to be smart in hindsight. The thing was, 'How do you now make the best of that?'" 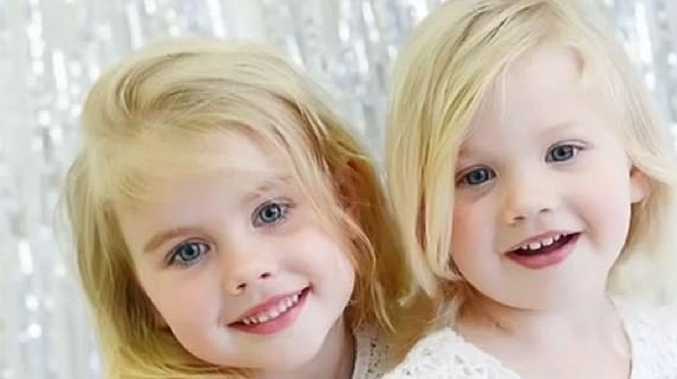 "This is a painful and heartbreaking time," Shriver said in 2011. "As a mother, my concern is for the children. I ask for compassion, respect and privacy as my children and I try to rebuild our lives and heal." Arnold Schwarzenegger (R) and his son Joseph Baena (L) are seen on March 14, 2018 in Los Angeles. Even more scandalous than Schwarzenegger's cheating scandal was the incredibly messy storm that followed. 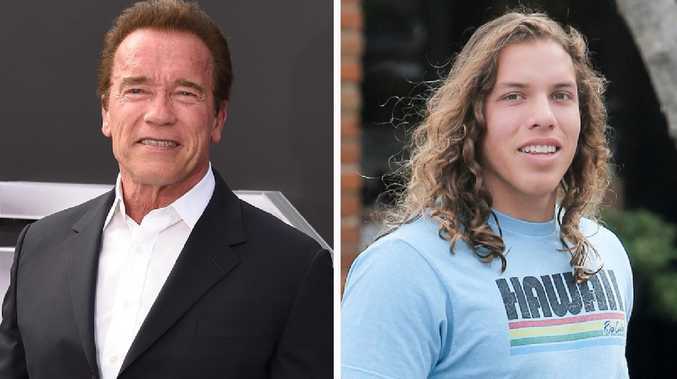 Schwarzenegger claims he only became aware of his fifth son's existence when Joseph Baena was "seven or eight-years-old" and started looking eerily similar to the action movie hero. According to reports, from that moment on, Schwarzenegger took full financial responsibility for Joseph - even though his affair remained a secret. He gifted Baena and her family a four-bedroom house nearby his own Los Angeles family home - keeping his son nearby. When Joseph was old enough for a drivers license, Schwarzenneger - who is reportedly worth more than $US300 million - also parked a new Jeep Wrangler in his driveway. Incredibly, she and her son moved into the house provided by Schwarzenegger - all the while Shriver still didn't yet know of their affair. Even more bizarrely, Mildred Baena remained the family's nanny until Schwarzenegger finally admitted to their secret in 2011 - after Shriver confronted him about his relationship. 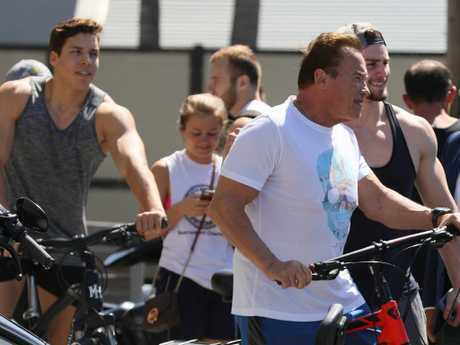 Schwarzenegger's public admission did more than ruin his marriage. It also prompted a legal challenge from Rogelio Baena - who claimed up until 2011 that he was Joseph's father. The matter remains unresolved, but Mildred Baena has always maintained Schwarzenegger is Joseph's biological father - ever since she claimed to have produced no children in her marriage to Rogelio in divorce papers filed in 2008. "He's terrific and he totally understands the situation," Schwarzenegger said of Joseph recently. "So it all has worked out. It's a very tough situation for him. It's a very tough situation for my kids. Very tough situation for my family. It was tough for everybody. But it has happened and now we have to figure it out, right?" Baena re-created some of his father's most iconic Terminator 2 scenes for a movie project with friends recently - showing a startling likeness with his father. The scene shows Baena rocking a leather jacket, sunglasses, a shotgun and a motorbike - as Schwarzenegger famously did in the 1991 film. He appears to have liked the headlines the project created, because his path has been following his dad's footsteps ever since.